Product #17579 | SKU MS0490A | 5.0 (based on 1 rating) Thanks for your rating! 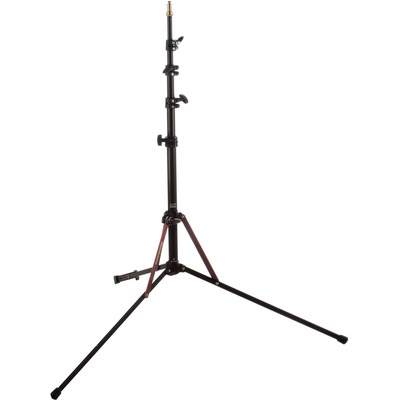 The MS0490A Nanopole Stand from Manfrotto is a 1.8 m stand with a removable riser section that can be used as a boom. The stand supports 1.5 kg and thanks to its reverse folding legs, breaks down to just 49 cm for packing. Small, light and a short length when folding up. An excellent little stand when used within it's limits. It's suitable only for lightweight fixtures and I would avoid extending all of the risers.